The PLC 5 is one of those PLC systems that really take us way back. A development from Allen Bradley, it is one of the oldest PLCs around though technology has seen the remodeling of the system. While many of us believe this PLC is a single system; on the contrary it is a family of chassis-based PLCs with great flexibilities to perform jobs like programming and networking. The older versions didn't have the network abilities like Ethernet, Proibus or DeviceNet until recent time when the industrial sector evolved in technology. Like many other top-class PLCs we have today, the Allen Bradley PLC 5 is modified with enough features to help it run a number of tasks comfortably. In present day, this PLC has been greatly modified for it to support a number of networks around. The system is easily compatible with EtherNet/IP, DeviceNet and ControlNet. Moreover, this PLC series of modern day can also connect to MicroLogix, SLC 500 and ControlLogix controllers. Technology has been helpful to recreate the PLC 5 to send information with other control machines in a system. These Allen Bradley PLCs are now installed with a hi-tech graphical user interface for convenient handling of the system at all times. This new GUI technology is quite economical to the consumer especially when prior training before handling the equipment could have been necessary. An additional feature to the newer models is the many number of racks that totals to 8 so to increase the functionality of the system. Another added advantage is the ability to configure the system to suit your own specific needs. This PLC series has gained popularity since they were first invented way back. Ask any user of this PLC out there and they way happily tell you of the flexibility benefits of the system in light of programming tasks as well as networking compatibilities. More consumers smile over the reliability of the system with a Mean Time Between Failure or MTBF that is more than 400,000 hours. 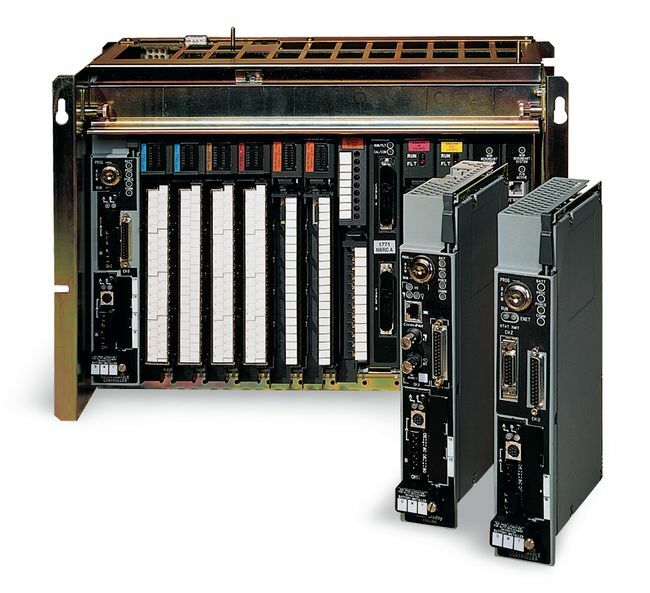 The Allen Bradley PLC 5 gives you a wide variety of memory choices to suit all your application needs as far as controlling hardware is concerned. You might not get the old school version of this PLC, but you can go with the highly advanced versions in the market like the Series C interface Module that can support Ethernet connectivity of 10/100Mb. Another modern model you can go for is the Series F Processors ranging from 1785-20E, -40E to -80E. Like the C series, they also support Ethernet. This older AB PLC series still has some life left as a controller. It offers you quality services both in the present and the future to come. The technology behind the making of all PLCs of this series is one you can rely on not forgetting how it is easily compatible with other modern day logic programming systems.